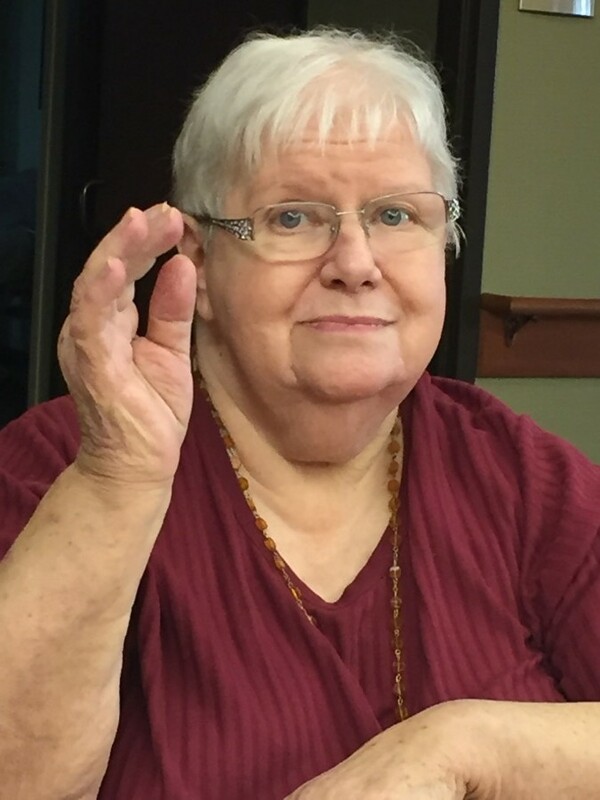 Sandra MaryLee (Pline) Gassman, 79, of Dubuque, Iowa passed away on March 28th, 2019 at Stonehill Care Center. Mass of Christian burial will be at 10:00 a.m. Tuesday, April 2nd, 2019 at Holy Spirit Parish, Holy Trinity Catholic Church with Rev. Andrew Awotwe Mensah officiating. Burial will follow in Mount Calvary Cemetery. Visitation will be from 4:00 p.m. to 8:00 p.m. Monday, April 1st, 2019 at Holy Trinity Catholic Church where a wake service will be held at 3:45 p.m. Family and friends may also gather after 9:00 a.m. Tuesday at the church until time of mass. Leonard Funeral Home & Crematory, Dubuque, Iowa is in charge of arrangements. Sandy was born on August 26, 1939 in Dubuque, Iowa the daughter of Reuben and Alberta (McCartney) Pline. She graduated from St. Joseph Academy, an all-girls school, in 1957. On November 29th, 1958 she married William H. “Bill” Gassman at St. Joseph The Worker. Sandy worked as a secretary for CPA Pink & Fehey for 3 years; was a stay-at-home mom for 40 years and then as a cashier at Walmart for 8 years. She was a member of the Holy Trinity Catholic Church Rosary Society; and became a Girl Scout leader for several years so both her daughters could enjoy being a scout. Sandy met the love of her life at a Christmas party where Bill swept her off her feet and kissed her under the mistletoe, which she happened to be wearing in her hair! Their story spanned for more than 60 years. Sandy is survived by her husband of 60 years, Bill Gassman; five children, Mike (MaryBeth) Gassman, of Rock Island, IL, Dee (Dave) Hohmann, of Dubuque, IA, Suzie Stroud, of Dubuque, IA, Albert (Teresa) Gassman, of Sherrill, IA, and Jake (Lori) Gassman, of Charles City, IA; her sister Cindy Breithaupt;12 grandchildren and 5 great grandchildren. She is preceded in death by her parents; three brothers Ronald, Dale and Harlow; and a sister Elizabeth. In lieu of flowers a Sandra Gassman memorial fund will be established. The family wishes to thank Stonehill Franciscan Care Facility, Hospice of Dubuque and MercyOne Medical Center for all their wonderful care and kindness they gave to Sandy.